Searching online databases is a key element of the modern librarian's work. 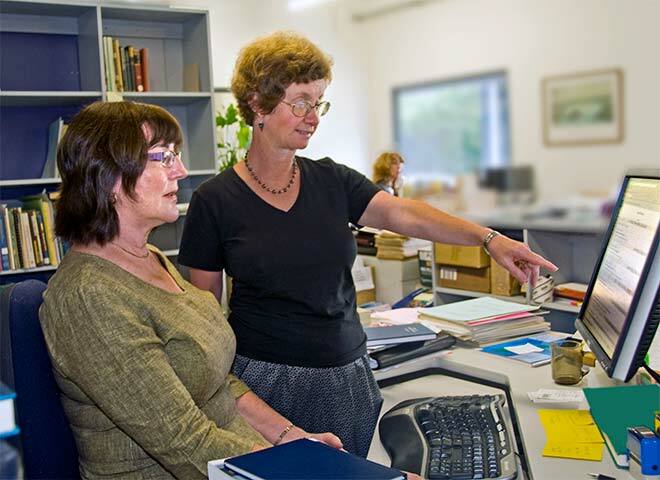 GNS Science librarians Pauline Muir and Maggie Dyer conduct an online search in 2010. Permission of GNS Science must be obtained before any use of this image.